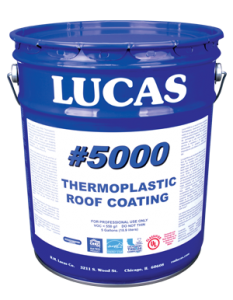 Solvent-based elastomeric top coating for metal, TPO, Hypalon and concrete roof restoration. Prevents leaks and further rust development. Available in cool white.